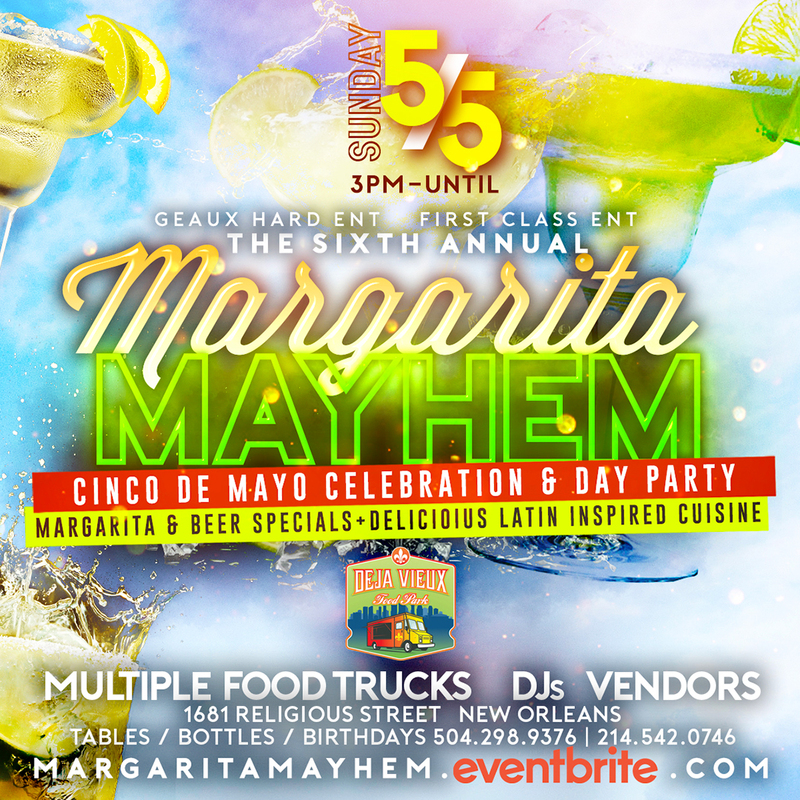 Join us at Nola's largest annual Cinco de Mayo Celebration & Day Party on Sunday May 5 at Deja Vieux Food Park - Louisiana's first ever permanent food truck park! Doors Open 3PM. Margarita & Beer Specials! DJs in the mix all day spicing up the Cinco de Mayo festivities! Also featuring delicious latin inspired cuisine by multiple amazing food trucks. Discount Advanced Tickets can be purchased now! 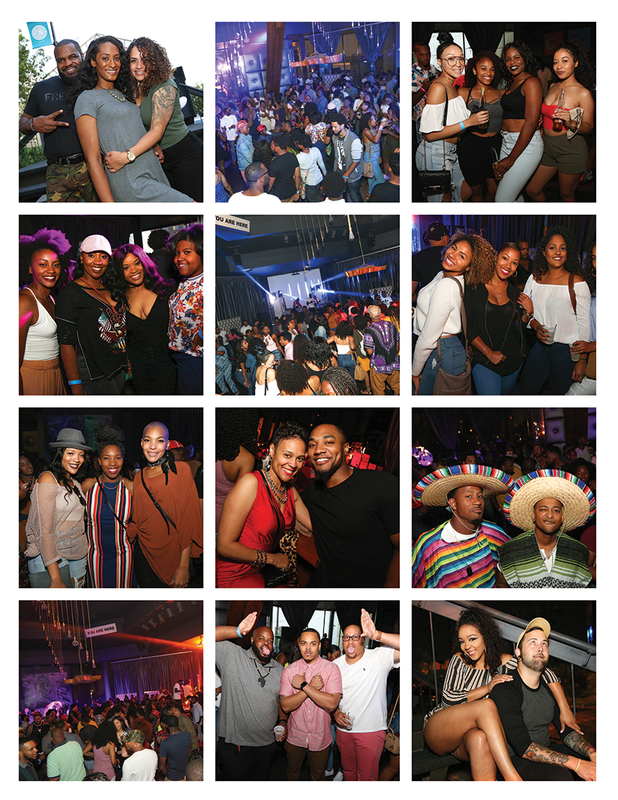 To reserve a table, book your birthday or office party celebration or for more info contact: 504.298.9376. On, Sunday May 5, it's a celebration! It's a fiesta! It's the 6th Annual Cinco de Mayo Celebration & Day Party at Deja Vieux Food Park! Doors Open 3PM, so bring your friends, co-workers or your entire staff! Presented by Geaux Hard Entertainment & First Class Entertainment. 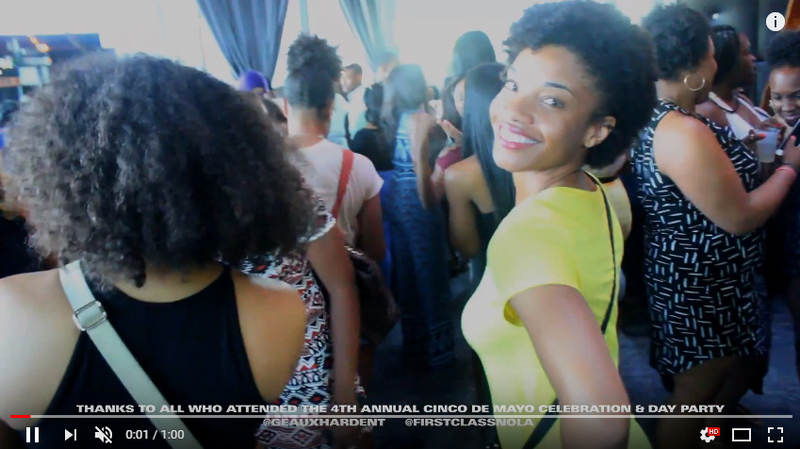 Cinco de Mayo Celebration & Day Party!